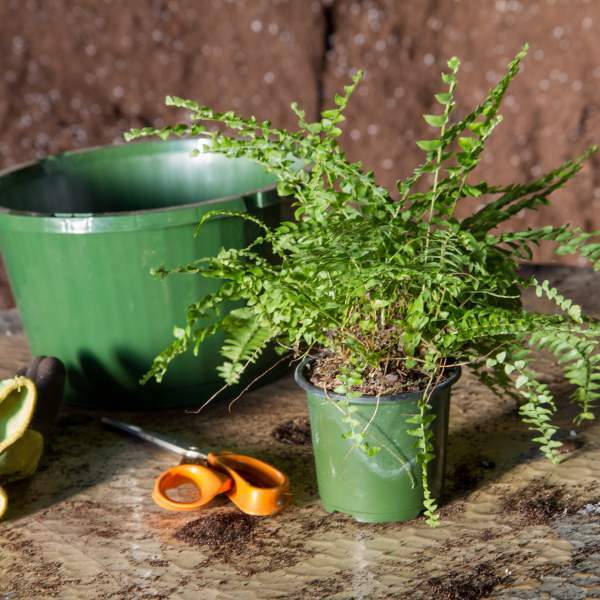 Boston Ferns are a cultivar of the Sword Fern and have become a popular seller for their growth habit. Boston Massii has a growth habit perfect for producing a full, cascading plant. They work well in hanging baskets and thrive in humid environments. Your customers may like the fact that Boston Ferns do not need much fertilizer, and they do not need as much care as most other plants. With moderate attention, these durable baskets will last all summer on your customer’s front porch. For best results with True Boston 4 Inch Pot, we recommend using a well-drained loamy, acidic soil with a constant feed program of 150-200 ppm N. Maintain a pH between 5 - 5.5. Keep the soil evenly moist, but don't allow it to be come saturated for a long period of time. Try to water early in the morning as the temperature is still rising. Avoid watering in the middle of the day when the sun is high as this could damage the fronds.